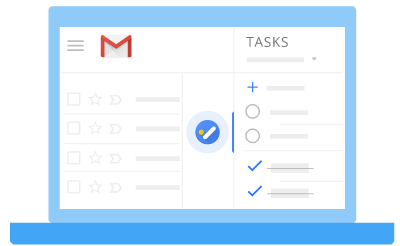 an all-new version of Tasks―where you can keep track of your daily tasks, organize multiple lists, and track important deadlines with mobile and web applications―to the G Suite product offering. On June 28, 2018, Tasks will launch as a standalone G Suite core service. Since Tasks was previously available as a feature of Gmail and Calendar to all domains, Tasks will launch ON by default, but it can be turned off at any time in the Admin console under Apps > G Suite. As a G Suite core service, Tasks will be covered under your existing G Suite agreement and will offer the same technical support and service level commitments as any other core service. Earlier this year, we introduced an all-new version of Tasks―where you can keep track of your daily tasks, organize multiple lists, and track important deadlines with mobile and web applications―to the G Suite product offering. On June 28, 2018, Tasks will launch as a standalone G Suite core service. Since Tasks was previously available as a feature of Gmail and Calendar to all domains, Tasks will launch ON by default, but it can be turned off at any time in the Admin console under Apps > G Suite.